We aim to provide you with a total property maintenance service to help keep your property looking great. 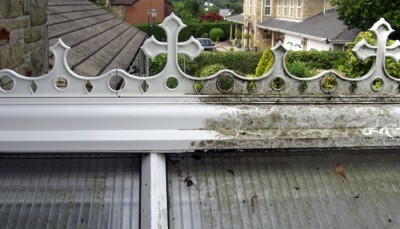 We can clean the windows inside and out, clean the gutters and pvc and even your driveway! Our services are listed below. Visit the links for more details then call us for a quote or use our contact page to send us an email. We’re committed to providing the best service throughout the Belfast and Lisburn areas. Call our friendly team today on 07546 450191 to find out more! To stop the build-up of algae and everyday grime, to ensure the ease-of-use and to maintain your warranty, your conservatory needs to be cleaned on a regular basis. A full clean will help maintain the appearance and restore it back to it’s former look, making it a sparkling garden room to enjoy and share. We know how to take care of conservatories even getting up and close with the top and cleaning all the wee details, right down to maintaining the hinges and tracks of your opening windows and doors. Let us take care of your conservatory anywhere across Belfast and Lisburn. Our expert cleaning services are available across Belfast & Lisburn including the areas of Malone Road, Four Winds, Andersonstown, Edenderry, Newtownabbey, Dundonald, Thaxton village, Carryduff, Hilden, Lagmore, Dunmurry, Moneyreagh, Gilnahirk, Knockbreada, Lisburn, Stranmillis, Antrim Road, Glengormley, Glen Road, Lambeg and Moira. Sparkle are a brilliant company and I've recommended them many times already. The guys are friendly, hard working & really professional and they managed to clean windows that none of my previous cleaners could reach. Thanks again Patrick, I didn't realise how bad my gutters were until you started cleaning them - It makes my whole house look brighter now! Pat has been my regular window cleaner for over 3 years now and he always does a great job. He turns up every month like clockwork all year round. I would highly recommend Sparkle Cleaning to anyone seeking a professional cleaning company. They are prompt, work quickly and provide excellent results. Patrick and his team are always very professional and reliable. They've worked for me on a few projects over the last 18 months and I've never once been disappointed. Please use the form below to contact us via e-mail. We aim to respond to all e-mail messages within one working day. If your query is urgent please contact us by phone for the quickest possible service.